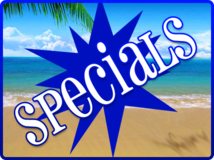 Check out this week's Specials! Click Here! Pick your date! Pick an inflatable! Reserve it online! offer discounts for schools, churches, and festivals. Please call for your price quote today!!! Get what you pay for... weekend rental for a one day price!!!! 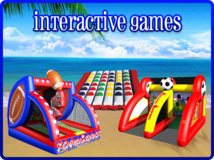 INFLATABLE PARTY RENTALS...Bounce Houses,Combos, Waterslides, Games, and Interactive inflatables. We've got the largest selection on the Northshore. Give us a call and let us plan your next birthday party or event. 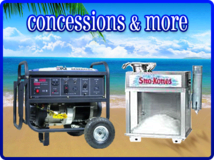 Welcome to TDK Party Rentals! 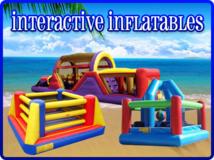 get your money's worth..... "weekend rental for a one day price"
Inflatable party rentals are the big hit at childrens parties. People sometimes don't know what to call them : bounce houses, moonwalks, jumpers, bouncers, space jumps, waterslides, bouncy house or inflatable things. No matter what you call them, We've got them all. 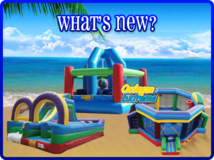 From a Waterslide in Slidell to a Bounce house in Laplace, we've got you covered.We have all your favorite themes from Mickey to Elmo our selection is the largest inflatable collection on the northshore. 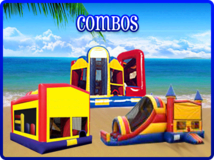 We also haveinflatable slides, water slides, combos, interactive games, obstacles courses as well as sno-kones and generators for party rentals. 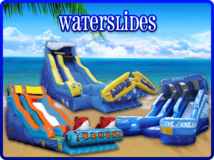 So if your about to bounce with Thomas the train or go sliding with a aqua bounce. We have the best jumpers to entertain your space jump adventures...give us a call or reserve on-line and we promise a great time. 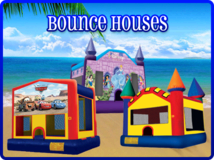 Bounce houses in Mandeville , to Obstacle Courses in Madisonville, we can cover all of St. Tammany Parish. We do cover the Franklinton, washington Parish up to the water tower in Town.